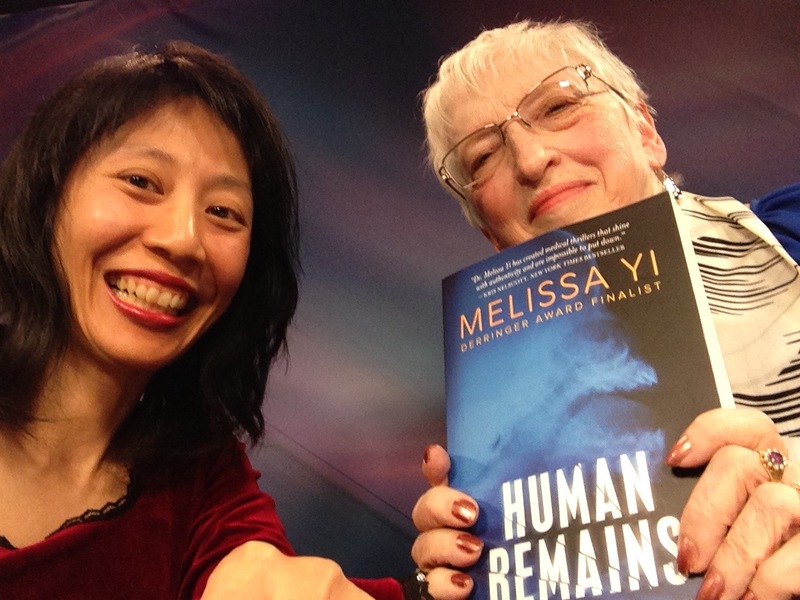 I’m on TV today with Human Remains—and my first grader directed the cameras! “Play with my animals.” She’d brought tiny toy animals. This was dicey. Her brother, Max, understands rules and when his mother is not fooling around. Anastasia is more like what one of my rural neighbours said: everyone has one kid who has to pee on the electric fence. And you never know how people are going to react to children. Most people claim to like kids, but as soon as you tow a small body into the room, just watch their face fall and their body language go on high alert. I did it anyway. I think part of it is being a doctor; I’m separated from my kids more than with an average job. If they want to come with me, I bring ’em. To my astonishment, everyone at the station took to Anastasia. 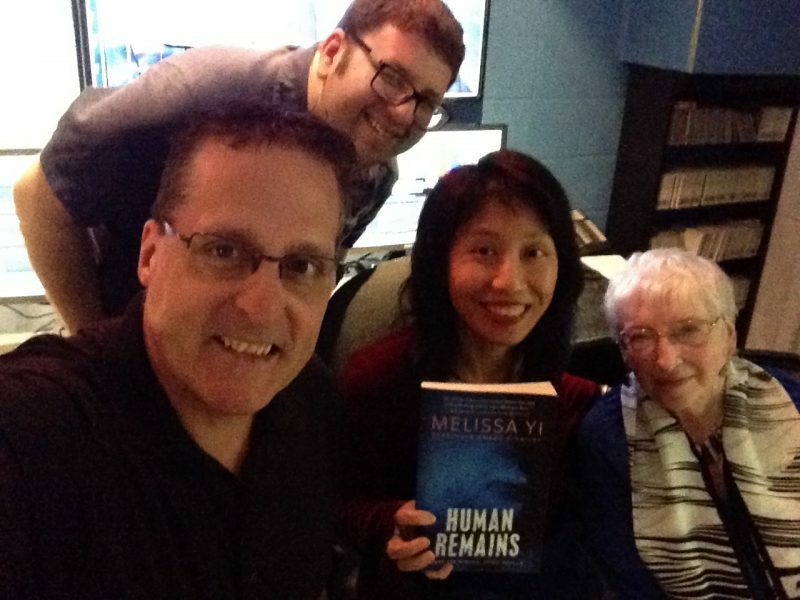 The producer, Bill Makinson, showed her around the station and told her she could help him press the buttons for the cameras during my interview with the lovely Brenda St-Louis about Human Remains. What? My six-year-old knows more about behind-the-scenes TV production than I do! I love taking risks and having it turn out better than if I’d played it safe. 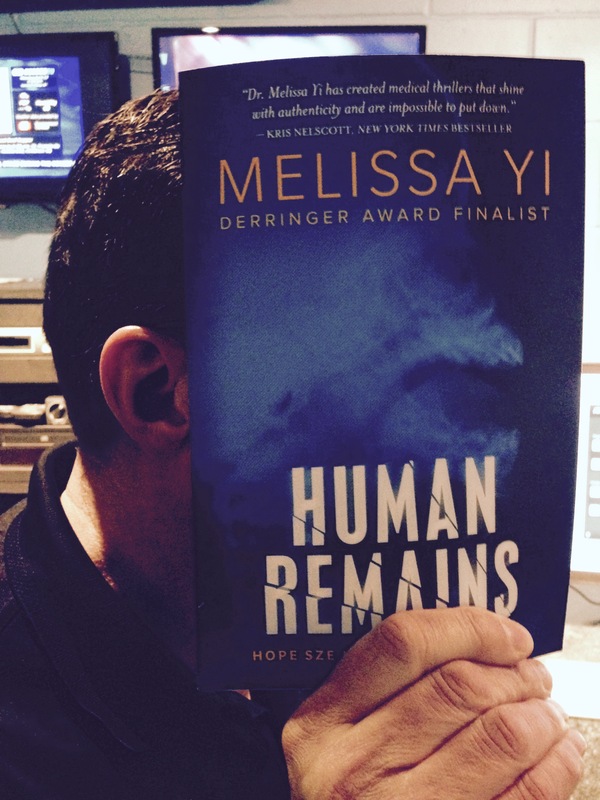 Human Remains will debut April 25th, DNA Day. 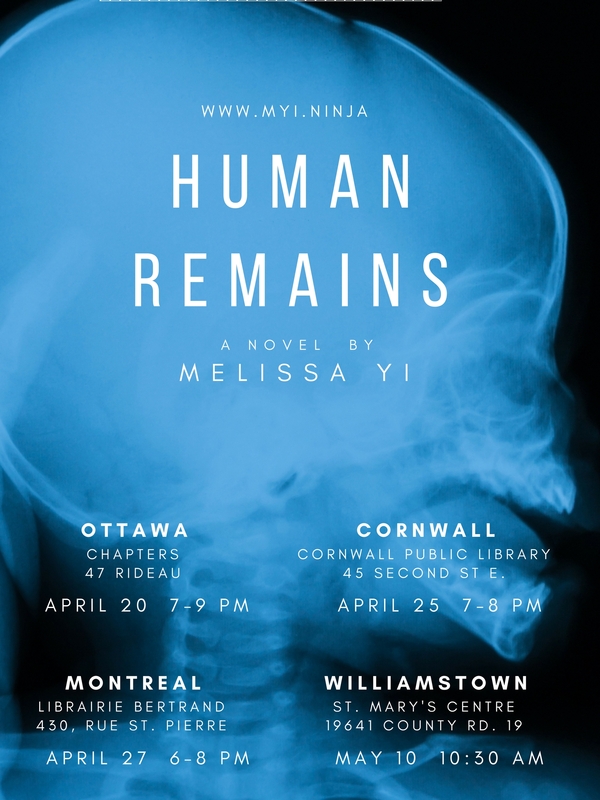 If you’re in Cornwall, come on out to the library at 7 p.m. I’ll have DNA origami, an interview with stem cell scientist Dr. Bill Stanford, and the coolest people turning up—except for the Ottawa, Montreal, and Williamstown launches, of course! Thanks to the Review and Standard Freeholder for getting the word out. You can preorder it the e-book for only $2.99! 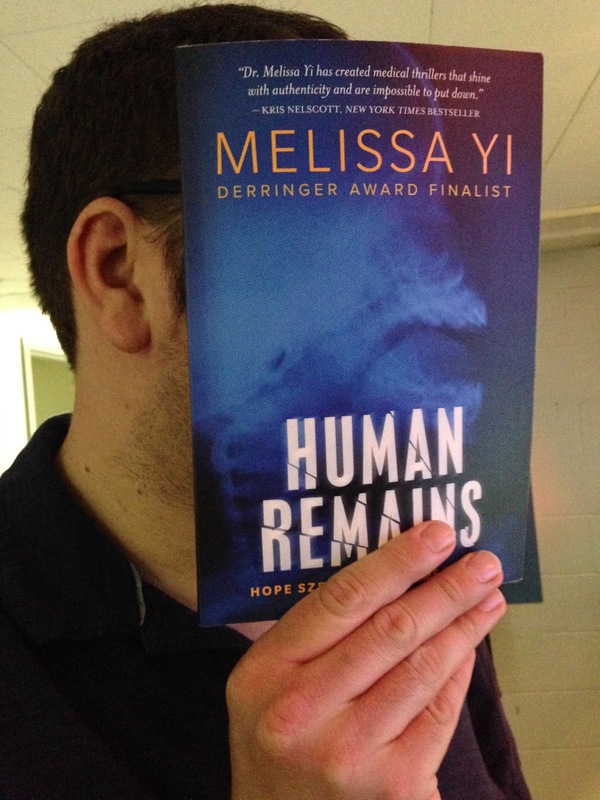 I know some of you have kindly agreed to review Human Remains. Thanks to those who have done the deed on Goodreads. Amazon changed the rules and won’t allow reviews on pre-orders, so thank you so much for your patience. Amazon reviews should open up on Tuesday, April 25th. 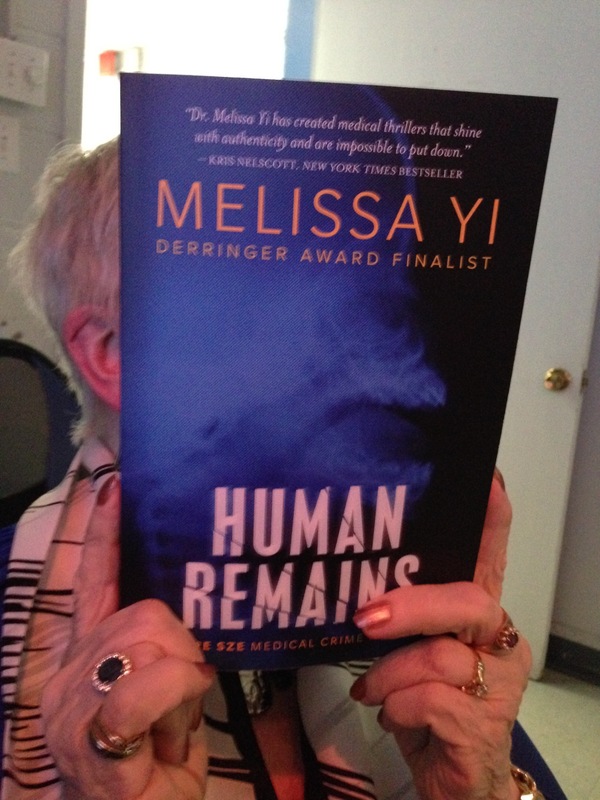 I should also have a special promo code for you on DNA Day, so please join my mailing list here. Tune in to Cogeco’s Community Matters today, which is Tuesday, April 18th, at 17:30, 18:00, 22:00, 22:30. This is bingo night! Tomorrow, watch us all over again at 09:30, 17:30, 18:00, 22:00, and 22:30. And then come celebrate science and literature with me!